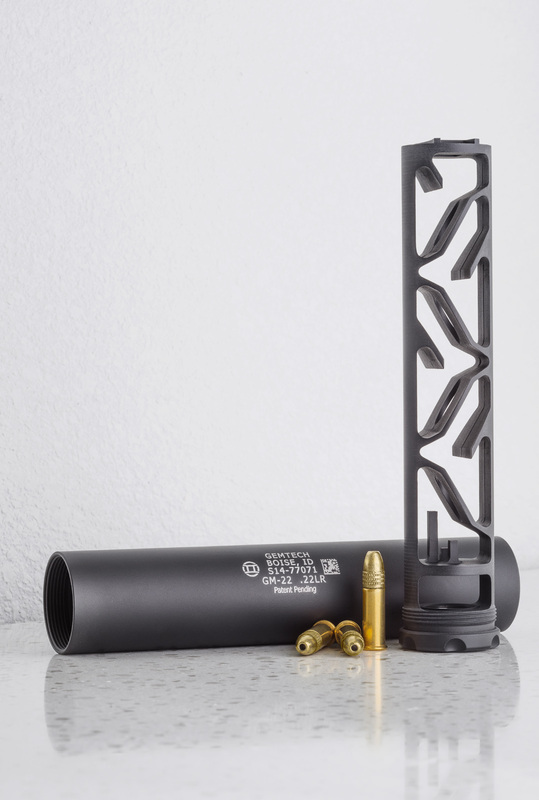 The GM-22 is a two-piece suppressor – the exterior tube housing and the monolithic baffle stack. As a result, disassembly and reassembly couldn’t be simpler – just unscrew the baffle stack from the tube and slide it out. The direct thread mount is part of the baffle The GM-22 is a two-piece suppressor – the exterior tube housing and the monolithic baffle stack. As a result, disassembly and reassembly couldn’t be simpler – just unscrew the baffle stack from the tube and slide it out. The direct thread mount is part of the baffle stack and uses standard (for most rimfire applications) 1/2×28 tpi threading.